First Line: Casey Fullman opened her eyes and knew something was wrong. It's the first day of her job in the West Country, and Detective Sergeant Kate Redman finds herself part of the investigating team into the kidnapping of Charlie Fullman. Charlie is the infant son of a wealthy man and his trophy wife. His kidnapping seems straightforward, but-- as is often the case-- the deeper Kate and her partner Mark Olbeck delve into the lives of those involved, the more secrets and motives they find for the crime. Hushabye is a well-paced story with strong characters that involves the reader almost immediately. Kate is emotionally involved in the case-- to the point where she actually runs off the rails a time or two. To her credit, she does know when she's crossed the line, and she takes responsibility for her actions. She's got a good boss in Detective Chief Inspector Anderton, which is fortunate because her behavior can certainly test his supervisory skills. As Redman and Olbeck investigate, they discover several of the suspects are having problems in their relationships, and these problems mirror those the detectives are having in their own. The identity of the villain isn't clear, and the solution has to be worked for. By the time the end of the story was reached, I knew I'd be reading more about Kate Redman. 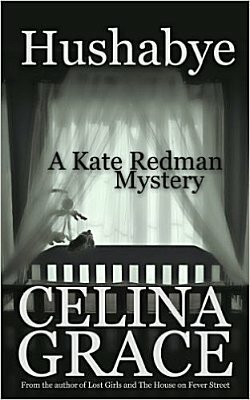 Celina Grace knows how to write a strong mystery and populate it with characters I want to know more about.